Convenient - Ready-to-use 1 oz. containers filled with sterile saline offer a fast, safe, easy method of moistening bandages and cleansing minor wounds, burns and grazes. Sterility is guaranteed for each application, which helps prevent cross-contamination and improves infection prevention protocols. Economical - Single-use vials are less expensive than other small volume use of sterile saline and create less waste. Saljet is more cost effective than using expensive irrigation syringes and bottles of saline to cleanse wounds during dressing changes and for cleansing small wound areas. Effective - When bandages are moistened with warm saline prior to removal it is more comfortable for the patient. Cleansing minor wounds, burns and grazes with cold, bulk saline, however, will lower the temperature of the wound and may delay the healing process. Saljet can be warmed easily by carrying it in the pocket or by simply immersing it in a pitcher of hot water before use without compromising sterility. 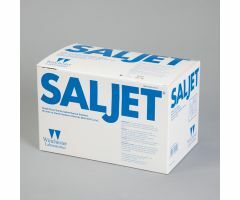 Compact - Contained in a light plastic container, Saljet is small enough for a strip of four to fit easily into a pocket, cart drawer, med box, etc. Easy - Just twist off the top and the single-dose 30mL sterile saline vial is ready for use. Single-use packaging reduces visits to nursing stations for equipment and enables several cleansing operations to be carried out in quick succession. Administer a continuous stream of saline or drop by drop by changing the squeezing pressure on the containers. Maximum PSI: 4 to 8 PSI with normal use. 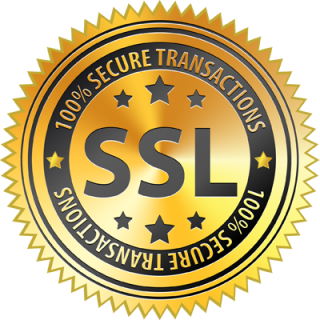 The maximum output for Saljet is approximately 10 PSI. Caution: Federal law restricts this device to sale by or on the order of a physician or a licensed healthcare practitioner.